What you should wear if you are in the Royal Enclosure at the Royal Ascot meeting and how TravellingTailor.co.uk can help you out. The Royal Enclosure at Royal Ascot is quite simply one of (if not THE) greatest social occasions in the UK’s sporting diary and as such it has a very strict dress code. Luckily here at TravellingTailor.co.uk (and via our previous retail store – Laurie Hopkins Menswear) we have years of experience in ‘dressing’ our clients for the occasion. So where do we start? This dress code is strictly enforced and so you should think very carefully about what you are going to wear during the races. The dress guide supplied by the racecourse also includes images of suggested wear and a price guide for the outfit. With Top Hat’s starting from £500 and a Tailcoat costing around £475, fitting yourself out for Royal Ascot is an expensive business. and Wool/Poly Grey striped trousers. This ready to wear Royal Ascot outfit is supplied, fitted and delivered by ourselves for only £612.00*. 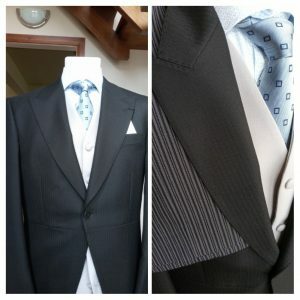 TravellingTailor also offers a made to measure service should you wish to have a truly unique Royal Ascot experience. *extra charges apply to Tailcoats that are 48” or above and Trousers 42” or more. Should you be visiting Royal Ascot in 2018 and would like to talk to us about our offer, please telephone Michael on 01484 511088 or 07885 298700. 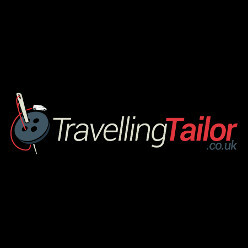 Michael Hopkins is the owner of TravellingTailor.co.uk and has over 30 years experience in supplying quality Menswear in and around Yorkshire.